Do You know what Pra Putta Chinarat and the Pra Khun Phaen amulet have in common?? 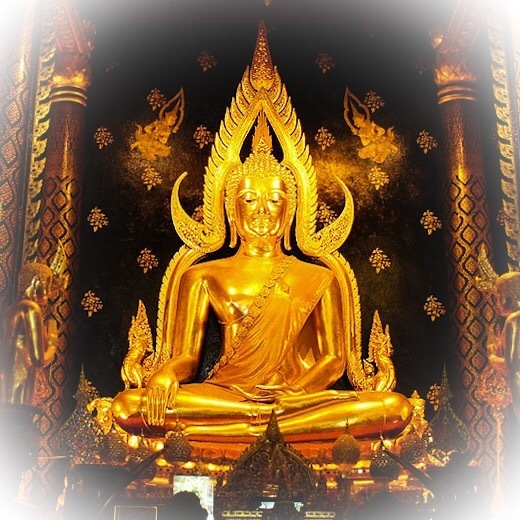 Many people know both the Buddha statue ‘Pra Putta Chinarach’ as wll as the famous love charm and riches amulet ‘Pra Khun Phaen Ban Grang’, but few people know that the two are related to each other, and how. Pra Khun Phaen Pra Putta Chinarat comparisons – what do they have in common? 1 Pings/Trackbacks for "Kata Bucha Pra Putta Chinarat"